Alzheimers disease research is essential when a medical condition is as prevalent as Alzheimers disease. It is incumbent upon a nation to put forth the time, energy, and financial resources to continue doing research into this debilitating condition. Not doing so is negligent. Although Alzheimers is considered an old person’s disease, this is not an entirely accurate assessment. Five percent of those afflicted with this form of dementia experience early-onset Alzheimers, which means it struck them long before the age of 65. Alzheimers Disease Research is crucial because it can reveal potential causes of the disease, which enables future generations to avoid risk factors such as high cholesterol and/or high blood pressure as well as diet, all of which are considered to put one in jeopardy for Alzheimers. Presently, the alzheimers disease research community isn't sure why these particular factors put a person at risk for dementia, but it appears that they do. Research has already determined that drugs, such as statins, which are cholesterol-lowering medicines, and NSAIDs, which are non-steroidal anti-inflammatory drugs, look as if they put a person at risk. Age is the primary factor when it comes to developing Alzheimers but head trauma, as well as educational level, plays a role, according to findings made through Alzheimers research. The more information that is gleaned on the causes and possible risk factors the more headway that is made in combating this cruel disease. Unfortunately, there are scam artists who take advantage of dire situations, notes the National Institute on Aging. Be wary of those health scams that claim to cure Alzheimers. When a disease is incurable, such as Alzheimers, the scam artists make promises to you and your loved one that can’t possibly be achieved, giving you false hope and breaking your bank account and your heart in the process. Avoid any “cure” that sounds too good to be true because it probably is just that. Indications that you are dealing with a bogus entity include claims that the remedy is a “secret” or “ancient” formula, or it can only be obtained from one particular entity and only by mail. Another red flag is the claim that the cure is painless and fast. The Better Business Bureau and the Consumer Council can provide you with the lowdown on the authenticity of a business and its claims. 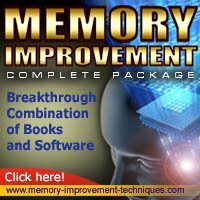 Reputable sources such as the Mayo Clinic, the Food and Drug Administration (FDA) and the National Alzheimers Association can be trusted to give you accurate and truthful information concerning all facets of Alzheimers, including treatment, medications, ongoing research as well as tips and techniques for coping with this disease. Continued Alzheimers research will lead to additional break-throughs that will alter the course of this disease.